Study and work at the heart of Sydney’s hospitality and tourism industry. With stunning views of both the country’s most famous icon – the Sydney Opera House and the magnificent Sydney Harbour Bridge – William Blue students can enjoy a truly inspirational study environment in the heart of Sydney’s tourism and hospitality hub. 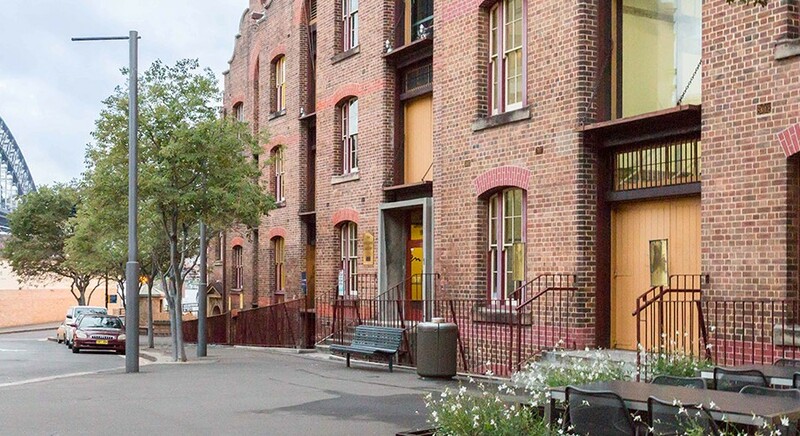 The Rocks is the ideal location for the William Blue campus as the area is on the fringe of Sydney’s central business and tourism district – you will literally be able to see your future from a classroom window. Set within a pre-Federation era warehouse, the campus boasts a state-of-the-art technological nervous system and custom-designed facilities to provide the best resources for students to achieve highly in their studies. You can watch The Rocks campus tour here. Study in Sydney and share the campus with students from Torrens University Australia and its speciality colleges APM College of Business and Communication, Chifley Business School and Real Madrid Graduate School, offering a unique and diverse environment for collaboration and networking. William Blue Dining, our multi-award-winning, student-operated training restaurant, operates a 5-minute walk from campus in the former location of Neil Perry’s iconic Rockpool restaurant. Watch the William Blue Dining kitchen tour below. Can you think of a better location to study business, tourism or hospitality courses in Sydney? a central transport hub for trains, buses and ferries in Sydney. There is no student parking on campus. Vending machines on site with numerous cafés and eateries in the surrounding area. Experience life at William Blue by attending Open Day. Tour the campus, meet staff and current students, and learn about the exciting career opportunities available to William Blue graduates. William Blue open days often include cooking demonstrations and guest industry speakers and fun activities that anyone who likes food and travel will enjoy.